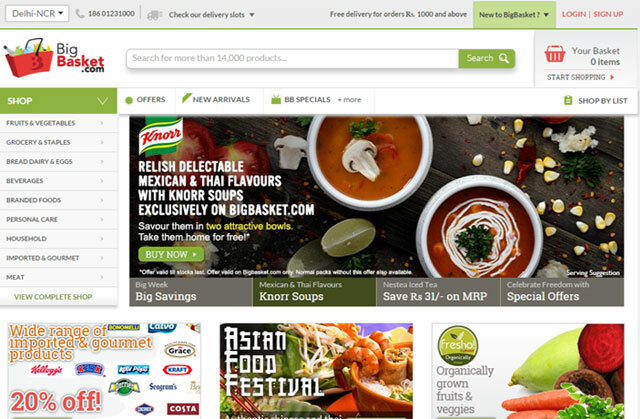 Online grocery retailer BigBasket.com, owned and operated by Bangalore-based SuperMarket Grocery Supplies Pvt Ltd, has raised $50 million in a fresh round of funding led by existing investor Bessemer Venture Partners. The Times of India, which first reported the development citing BigBasket CEO Hari Menon, said BigBasket has also mandated Citigroup to raise $150 million (Rs 950 crore) from new investors. Separate emails sent to Menon and a spokesperson of Bessemer Venture Partners did not elicit any response till the time of filing this report. VCCircle had first reported that BigBasket is looking to raise $50 million in a new funding round and was in talks with PremjiInvest, the private investment arm of Wipro Ltd chairman Azim Premji, for the same. The new round of funding, which values BigBasket at $1 billion, will power the company's plans to enter 50 more Tier-II cities, the report said. BigBasket.com is an online grocery store with operations in Bangalore, Hyderabad, Mumbai, Pune, Chennai, Delhi-NCR and Mysore. It was founded by a team of five—Menon, V Sudhakar, Vipul Parekh, VS Ramesh and Abhinay Choudhari—in 2011. The team has both offline and online retail experience, as it had earlier set up India's first e-commerce site FabMart.com in 1999, and then established the Fabmall-Trinethra chain of more than 200 grocery supermarket stores in southern India. Trinethra was sold to Aditya Birla Group in 2006 and currently operates under the brand name 'More'. The startup has investments from Bessemer Venture Partners, Helion Venture Partners and Zodius Capital. It was valued at Rs 1,400 crore when it last raised funds in January. The company is understood to have closed fiscal 2015 with a top-line of Rs 250 crore and a run-rate of 6,000 orders a day with average billing of Rs 1,500 per customer. Bessemer Venture Partners LP SuperMarket Grocery Supplies Pvt. Ltd.